I am a Hyland’s Homeopathy Ambassador and receive various products and gift cards from Hyland’s and promotional partners at no cost to me. All views and opinions expressed on this blog post and corresponding social network mentions are my own and are not to be interpreted as medical advice. What do you do to de-stress? What is going on in your life that causes you to stress the most? Do you have a special regimen or routine that helps you find your inner “Zen” and de-stress a bit? I always like to relax with a steamy bath and a little lavender oil in the water, while listening to some relaxing music. Another way I like to de-stress is having a dinner on a Friday night with my friends and just putting the weeks work and stress behind me. Hyland’s is excited to announce the launch of its second annual 5-Day Stress Challenge! More than 70% of Americans suffer from stress and we want to help. Since 1903, Hyland’s has been trusted for generations to provide safe, effective, homeopathic medicines for all members of the family. Be sure to challenge yourself a little each day to stress less and enjoy a well-earned moment or two for yourself. Also be sure to register for the Hyland’s 5-Day Stress Challenge. Registration opens on Wednesday, September 17th at 1pm (ET). Also, the first 1,000 people to register for the challenge will also receive a free, full size Hyland’s Nerve Tonic to be sent to you prior to the launch of The Challenge. Each day on the Hyland’s FB page, we will feature daily challenges and information relating to a specific topic that promotes natural solutions for managing and reducing stress. You can learn more about the Hyland’s 5-Day Stress Challenge HERE. Each day on the Hyland’s FB page, we will feature daily challenges and content relating to a specific topic that promotes natural solutions for managing and encourage healthy strategies to help manage stress. At the end of each day, participants will answer a question for a chance to win a Hyland’s Stress Less Duo, which includes a full-size Hyland’s Calms Forté© and Hyland’s Nerve Tonic©. Ten winners will be chosen at random each day! On the final day of The Challenge, October 7th, 2014, in addition to the Stress Less Duo, there will be the chance to win the GRAND PRIZE basket chock-full of anti-stress products from Hyland’s and other amazing partner brands AND a $100 Spafinders gift card by answering a brief, five question survey to help us better understand their experience with The Challenge. To enter my giveaway, simply follow the Rafflecopter form below for your chance to win. My blog giveaway is open to U.S. Residents, ages 18+ years old and ends on Tuesday, September 16, 2014! Also remember that starting on Wednesday, September 17th, Hyland’s will be hosting a fabulous giveaway with five lucky winners to win some great prizes. The first 1,000 registrants will receive free, 32ct Hyland’s Nerve Tonic! ELIGIBILITY: To enter and win, you must be a legal U.S. resident 18 years of age or older physically residing in the 50 United States (includes DC). 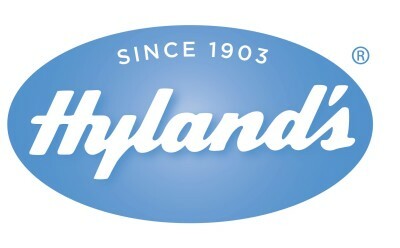 Employees of Hyland’s or its affiliates, sales representatives, agencies, dealers, retailers, wholesalers, distributors, and promotional and other vendor agencies involved in the promotion, and the immediate family (parent, spouse, sibling, child, grandparent, grandchild) and household members of all such employees, are NOT eligible. Promotion is subject to all federal, state and local laws and regulations. Void where prohibited or restricted by law. HOW TO ENTER: Visit my blog. Click on the Sweepstakes tab. Answer one of the following questions: “What is your biggest stress?” or “How do you stress less?” Complete and submit your entry. Entries must be submitted between 12:01 a.m. Eastern Time (“ET”) on September 12, 2014and 1 p.m. (ET) on September 16, 2014. All entries must be received by 1 p.m. (ET) on September 16, 2014. Odds of winning depend on number of entries received. Sponsor is not responsible for lost, late, illegible, corrupted, or misdirected entries. Only one entry per person/e-mail address/authorized e-mail account holder. Taxes on prize are the sole responsibility of the winner. Any and all guarantees and warranties for prize is subject to the manufacturer’s and/or service providers terms and conditions, and winner agrees to look solely to such manufacturers and/or service providers for any warranty or guarantee claim. Prize is non-transferable and no substitution or cash equivalent is allowed except in Sponsor’s sole discretion. Sponsor reserves the right to substitute prize of the same approximate retail value. Prize consists only of item specifically listed as part of the prize. All costs and expenses not specified herein, related to any prize, including but not limited to delivery, installation, service activation fees, and other expenses incurred by accepting the prize, are the sole responsibility of the winner. Limit one (1) prize per person. Prize will be fulfilled two weeks after the drawing. SELECTION OF THE WINNERS: Prize will be awarded in a random drawing on or about September 17, 2014, from among all eligible entries received. Drawings will be conducted in accordance with the Official Rules by Sponsor, whose decisions on all matters related to the sweepstakes are binding and final. Potential winner will be notified by e-mail at the e-mail address provided on or about September 17, 2014, and will be required to respond within 48 hours, or the prize will be forfeited and an alternate winner will be chosen. Affidavit of eligibility, prize acceptance form, tax information, publicity release, and/or mutually acceptable liability releases may be required and, if so, must be returned within reasonable specified time or prize will be forfeited and alternate winner chosen. For the name of the winner of the Grand Prize, check Sponsor’s blog page at http://itsfreeatlast.com/?p=41121 between September 17-24, 2014. PUBLICITY RELEASE. Except where prohibited, acceptance of a prize constitutes winners’ consent that his or her name, likeness, voice and/or biographical data may be used for advertising and promotional purposes without limitation and without additional notice, compensation, or consent. Submission of content to be posted online constitutes permission for same. RELEASE: By entering, entrant agrees to accept and abide by the rules of this sweepstakes and agrees that any dispute with regard to the conduct of this sweepstakes, rule interpretation, or award of prize shall be submitted to Sponsor, whose decision shall be binding and final. By participating, entrant agrees to release and hold harmless Sponsor, Facebook, participating dealers and retailers, affiliates, sales representatives, distributors and promotional and other vendor agencies, their respective parent companies, affiliates, subsidiaries, service agencies, independent contractors, and the officers, directors, employees, agents and representatives of any of the above organizations from any injury, loss or damage to person, including death, or property due in-whole or in-part, directly or indirectly, to the acceptance or use/misuse of a prize, participation in any sweepstakes-related activity, or participation in the sweepstakes. Sponsor is not responsible for any typographical or other error in the printing of this offer, administration of the sweepstakes or in the announcement of prizes, including erroneous appearance of qualification for a prize, and under no circumstances will more than the stated number of prizes be awarded. If for any reason Sponsor is prevented from continuing with this sweepstakes, or the integrity and/or feasibility of the sweepstakes is severely undermined by any event including but not limited to fire, flood, epidemic, earthquake, explosion, labor dispute or strike, act of God or public enemy, satellite or equipment failure, riot or civil disturbance, war (declared or undeclared), terrorist threat or activity, or any federal, state or local government law, order or regulation, order of any court or jurisdiction, Sponsor shall have the right, in its sole discretion, to abbreviate, modify, suspend, cancel or terminate the sweepstakes without further obligation. If Sponsor in its discretion elects to so abbreviate the sweepstakes, Sponsor reserves the right, but not the obligation, to award the prize from among all eligible entries received to date. All entries are the property of Sponsor and are not returnable. This promotion is intended for viewing in the United States only and shall be construed and evaluated only according to United States law. Do not enter this promotion if you are not located in the United States. The use of any automated devices in connection with this promotion is prohibited. Sponsor assumes no responsibility for computer system, hardware, software or program malfunctions or other errors, failures, delayed computer transactions or network connections, whether human, technical or otherwise in nature. Sponsor reserves the right, in its sole discretion, to cancel or suspend this promotion should virus, bugs or other causes beyond its control corrupt the administration, security or proper play of this promotion. Sponsor is not responsible for any injury or damage to any person’s computer or related equipment resulting from or relating to participation in this promotion or downloading any material related to this promotion. Entries will be deemed made by the authorized account holder of the e-mail address submitted at the time of entry. In the event of a dispute, the potential winner may be required to provide proof that he or she is the authorized holder of the identified e-mail account. I could certainly use some stress reduction. I’ll take the challenge!